Neptune Viewpoints - "Unmarked Beach"
This is the first of the four "Neptune State Scenic Viewpoints" and its associated beach. 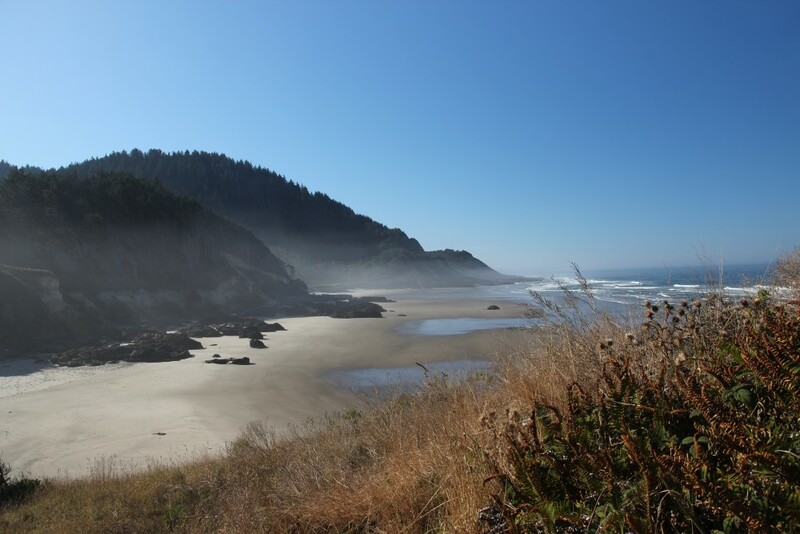 This one does not have a road sign or official name, but is just South of Cape Perpetua, and close to Gwynn Creek. There are a couple of trails leading to the beach. The North side is rocky and provides faily decent "wave action" when the Pacific's up. 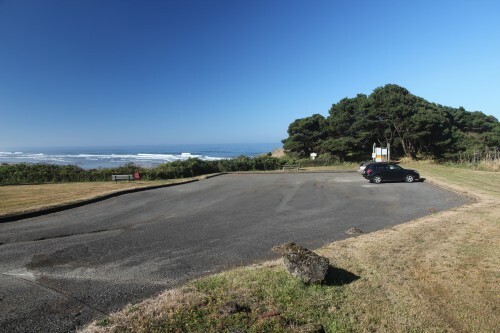 From here you can see the mountain on which Cape Perpetua is located. 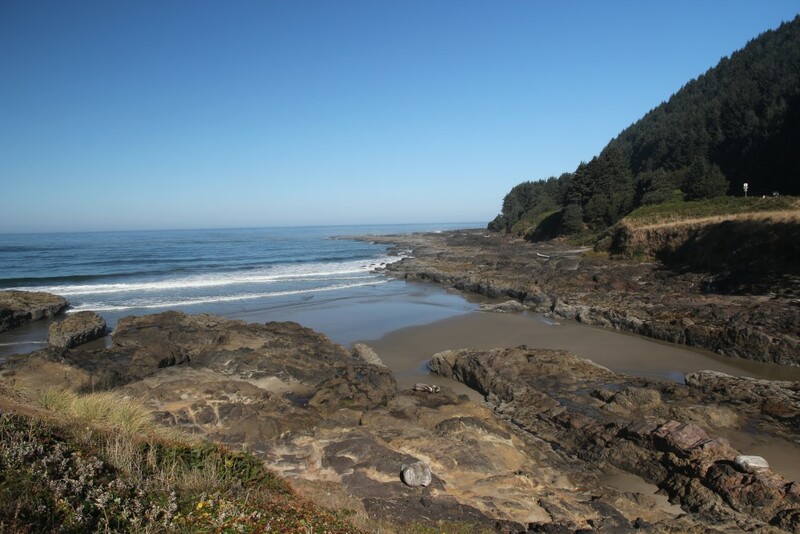 The immediate beach in front of you offers wave action due to the rocks jutting out into the water. Remember that you want high tide or just before and after, to have interesting wave action.